Drawing on her Norton Lectures, Toni Morrison takes up these and other vital questions bearing on identity in The Origin of Others. In her search for answers, the novelist considers her own memories as well as history, politics, and especially literature. Harriet Beecher Stowe, Ernest Hemingway, William Faulkner, Flannery O’Connor, and Camara Laye are among the authors she examines. 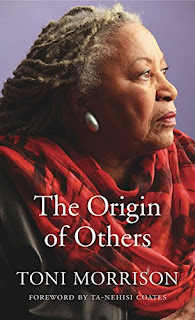 Readers of Morrison’s fiction will welcome her discussions of some of her most celebrated books―Beloved, Paradise, and A Mercy.